Everyone in their lifetime has experienced toothache. Mostly because of tooth decay or gum infection or what have you. Whatever the reason is, you have to see a dentist. There is no other way to cure the cause of tooth ache than to see the professionals. In the meantime, while you have not yet propped yourself up on the deal chair or you have not the courage to see him yet, why not try these pain relief cures that may be good for you. Choose the right homeopathic remedy for you. I have read in one of the books that there are available homeopathic cures depending on the type of toothache and the cause. If your toothache is worse at night, try to dissolve one tablet homeopathic Arnica under your tongue every 15 minutes. But if your teeth sensitive to with hot liquids, what you can try is take Chamomilla 30X and put it under your tongue as needed until the sensitivity decreases. You can buy these at your local food health store. If your teeth more sensitive to cold, use 6x potency of Plantago. Major dissolving one tablet under your tongue until the pain goes away. You may wonder what other natural remedies for toothache ? Activated charcoal can also help draw out the toxins in tooth decay, which is causing the tooth ache. To make a paste, mix enough water in activated charcoal and place some of the paste on a small piece of gauze. 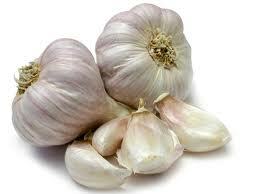 Garlic is very effective to relief tooth ache. Put on the affected tooth and bite on it so that the charcoal can coat the tooth. After 5 minutes remove the gauze and excess paste and then rinse your mouth with water. Use this natural remedy three to four times a day as needed. Or you may want to try this childhood remedy that we have which is putting a clove of garlic on the cavity to ease the toothache. This is not very comfortable though but it works, just as you don’t mind smelling garlic breath. Have you felt how annoying it is to have unexpected visitors in your home whom you haven’t seen since 7th grade and they are now bothering you like crazy? That’s how shingles (could be with all the pain and the itch. Actually, shingles is perhaps the nephew of your aunt named chicken pox whom you have endured decades ago. Unfortunately, the varicella virus, the one that caused the return of the annoying visitor named shingles, a painful skin rash, which by the way is the cause of your chicken pox, was apparently not completely healed that time. It lurked in your spine and has decided to come out with vengeance after a decade or so. Manifestation would be itchy and painful blisters breaking out from the spine to the chest. Like a judas belt forming a painful curse around you. It will stay with you for at least 2 weeks making you feverish, weak and headachy. Alternative practitioners recommend the following natural relief to alleviate the pain of the shingles attack. To help remove the virus, you may use activated charcoal. For shingles treatment, just by adding a small amount of water to it plus cornstarch or flaxseed, you can make a paste to be put on the blisters. Make sure you put on latex gloves to avoid contaminating yourself and other people with the communicable virus. Apply the paste to the blisters and let it stand for 20 minutes, leaving the paste for 12 hours. Wash it off the re apply until the blisters are dry and healed. A hydrogen peroxide gel may also be used to kill the virus and help shorten the episodes of shingles. Apply the gel every 2 to 3 hours until they have dried and healed. The shingles must have attacked because of the persons’ low immune system, Therefore, it is a must that immune system be enhanced and strengthened by taking high potency multivitamins specially Vitamin C.
Even if a virus is self limiting, meaning, it could go away on its own, it pays to take some natural relief to be free form the horror of the shingles pain it’s causing. After all, there will be no drug interaction for these natural alternative home remedies for shingles treatments. 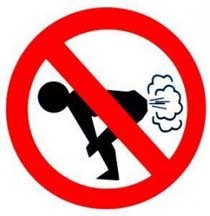 While flatulence – or passing out gas is a natural part of digestion. It can be very embarrassing when it comes out unexpected. This is caused by the gas producing bacteria in the intestinal tract. Did you know that passing out gas between 6 to 21 times a day is normal? Sounds too many beyond 21 times eh, but there are people who suffer this kind of embarrassing dilemma, specially those who take antibiotics. We all know that probiotics provides us the essential good bacteria and so everyone, specially those taking antibiotics are encouraged to do so. Makes a lot of sense since antibiotics destroys ALL bacteria, including the good ones. When this happens, unfriendly bacteria and toxins are produced, and begin generating toxins that leads to gas, bloating and even diarrhea. Make sure you buy the refrigerated probiotics at the stores to maintain the live lactobacillus, acidophilus and bifidus. Ginger is once again on the limelight for this ailment. It helps stimulate digestion and relaxes intestinal muscles so that food will not overstay in the intestines and produce gases. Take two capsules or 250 mg with each meal. Have you considered chewing on seeds? Take Fennel seeds after a meal has been found to be an excellent way to relieve flatulence. Chew 5 to 10 seeds after each meal and swallow them to maximize the effect. The oils of the seeds helps in the digestion process. How about those moments when you are in the middle of a party or a meeting and suddenly you need to pas out gas? Not to worry, just keep activated charcoal handy for that short term relief. It works by binding toxic substances and helps them out of your system, quietly! It’s good to pass put gas at the right moment and remember, you may not even be suffering from flatulence though. Try to monitor if you reached pass 21 times and you are a candidate. Happy counting!